The OASFAA Newsletter is published bi-annually. 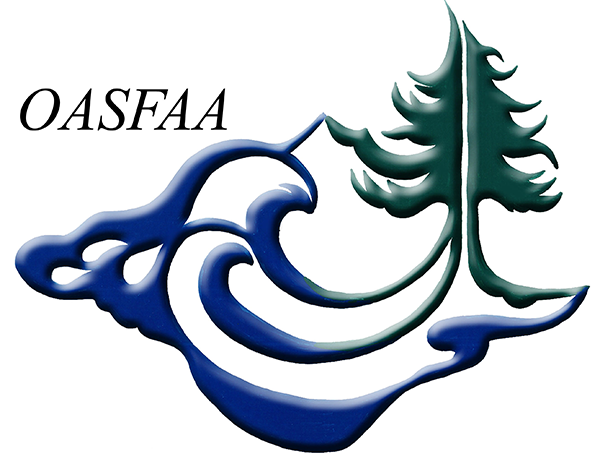 The OASFAA Executive Board approves the schedule each spring. The OASFAA Newsletter Editorial Board establishes deadlines for submission of items, and reviews all submissions articles and advertisements. OASFAA welcomes all views and invites submissions of articles, essays, photographs, or information of general interest to all members. Submissions should be brief, and should not advertise specific products or services. Submissions may be edited. It may not be possible to publish all articles submitted. Opinions expressed in the OASFAA Newsletter are those of the authors and not necessarily of OASFAA, its members, or the institutions represented by the authors. Cancellations or corrections must be received by the published submission deadline. OASFAA reserves the right to insert the phrase "advertisement" above or below any ad. OASFAA shall be under no liability for its failure, for any cause, to insert an advertisement or for any error in any advertisement. OASFAA reserves the right to review and possibly not accept all advertising. OASFAA retains authority regarding the placement of all advertisements and shall not be bound in that regard by advertiser's position request.